Reflection: When Jesus calls his first disciples, they immediately respond. Simon and Andrew immediately leave their nets and follow him. James and John immediately leave their father and the hired men and follow him. There is no delay; there is no time to think about the call. It comes through the words of Jesus as he passes by. The fishermen hear it and respond to it immediately. Such immediacy challenges the fishermen’s comfort. They are comfortable fishing. They are comfortable mending their nets. They are comfortable being with their father. Jesus, however, disturbs their comfort by seeking an immediate response to his invitation to fish for people. Not even knowing what fishing for people might mean, four men relinquish their comfort and follow Jesus immediately. God calls, or Jesus calls on behalf of God, or another person is the vehicle for God’s call. An urge is felt to volunteer in a soup kitchen – that’s a call. In a writer’s mind a new idea for a book begins to take shape – that’s a call. A family member suggests a project for Lent or Advent, and all agree to the endeavor – that’s a call. For some unarticulated reason comfort is abandoned immediately in order to answer the call. 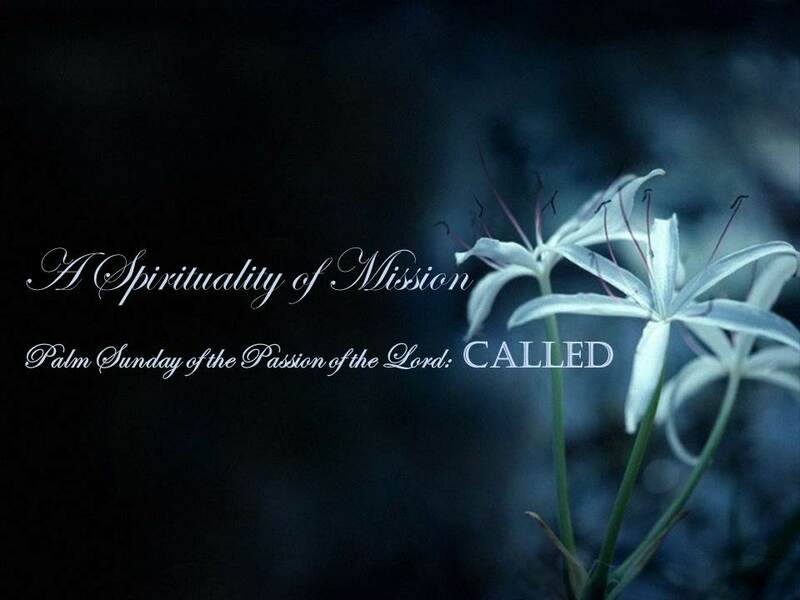 A spirituality of mission includes an immediate response when one recognizes a divine call. Journal/Meditation: When have you recently received a divine call? What comfort did you immediately abandon in order to answer the call? Prayer: Almighty God, you call me to follow your Son, and to fish for people. Help me abandon all that is comfortable to me, so that I may respond immediately to you who live and reign with Jesus Christ and the Holy Spirit, forever and ever. Amen.